Next Week We Will Send Out The CSA Delivery and Farm Pick Up Schedule Watch your Emails For Your Schedule. 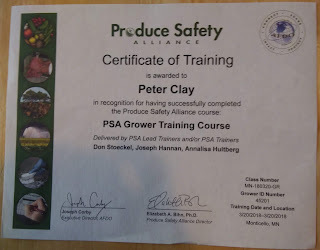 I am Proud to announce that I have Received “Certificate of Training” Producer Safety Alliance Grower Training Course. 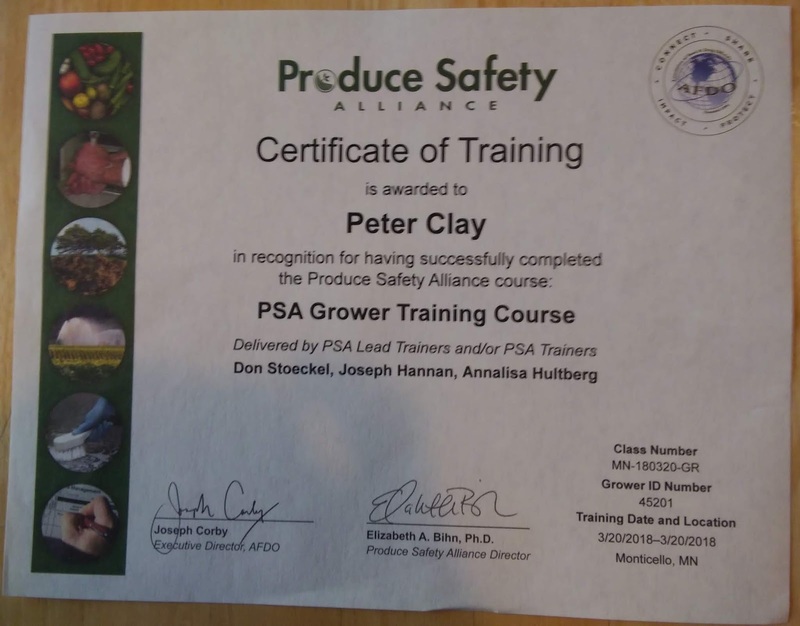 What does this do it assures our CSA Customers that we Grow, Harvest, and package our produce following the Farm Food Safety Laws.